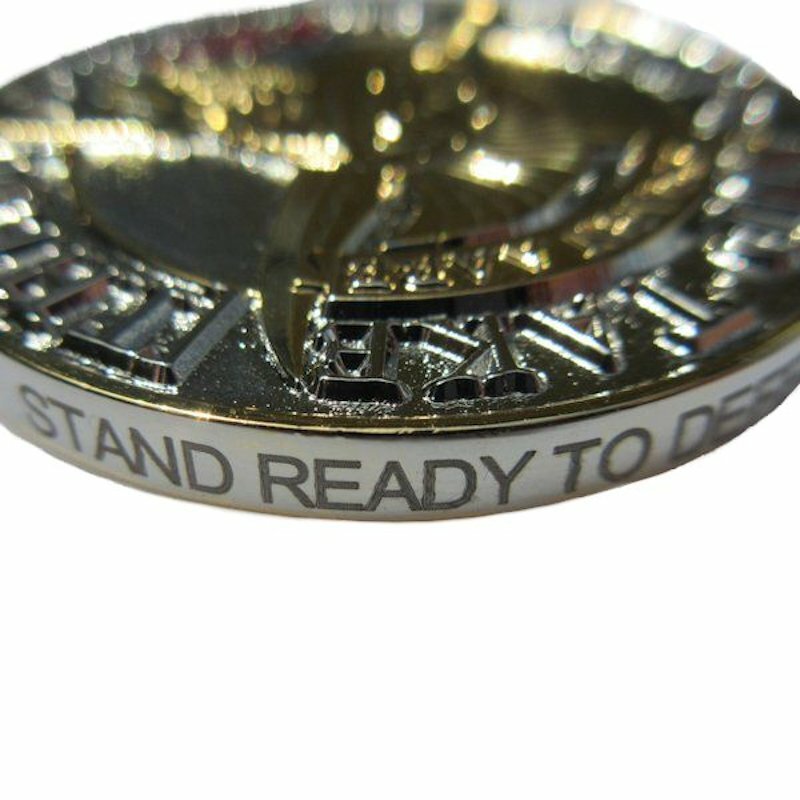 Details: Honor, Integrity, and Respect are earned traits that are worthy of recognition. 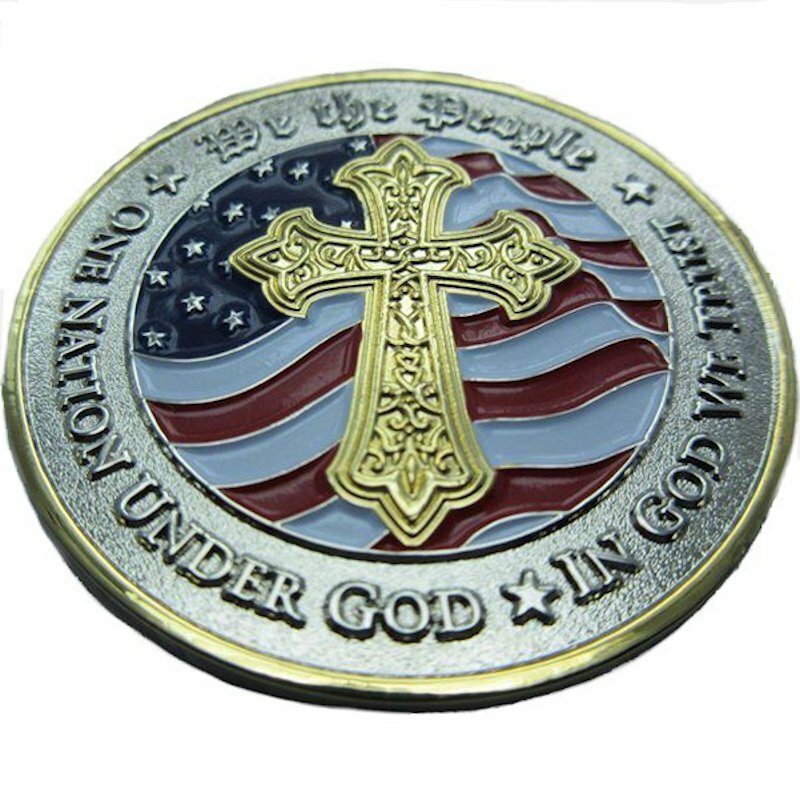 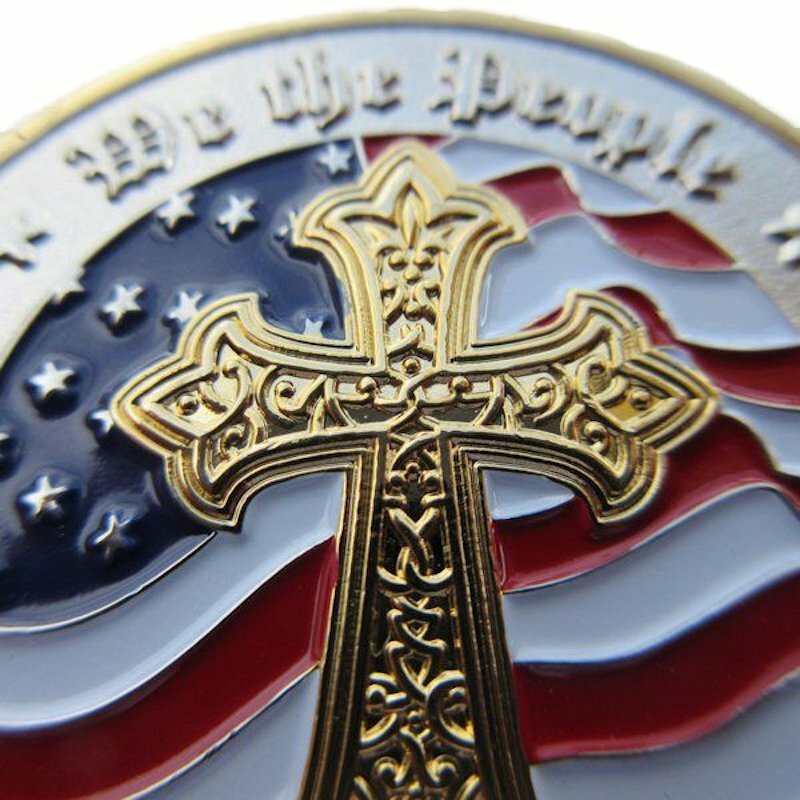 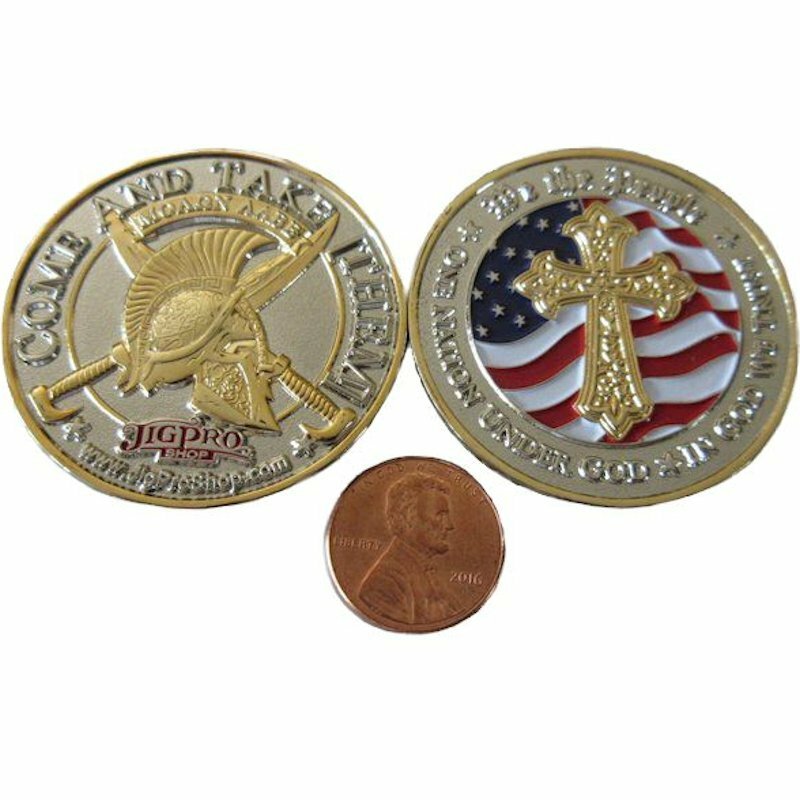 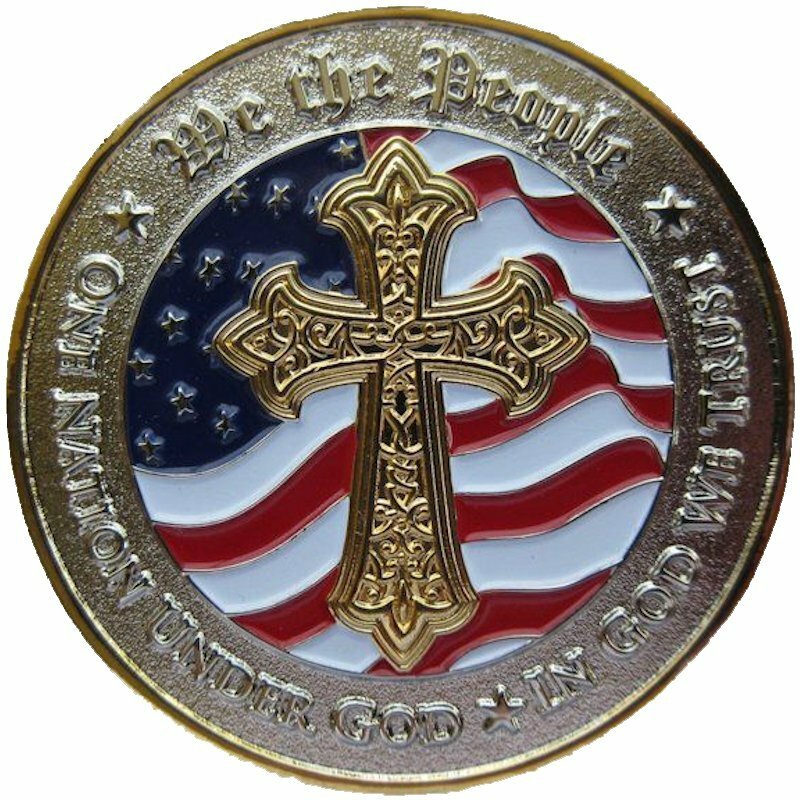 This coin was specifically designed for individuals who possess these traits, true American Patriots, with a love and respect for God and The United States of America. 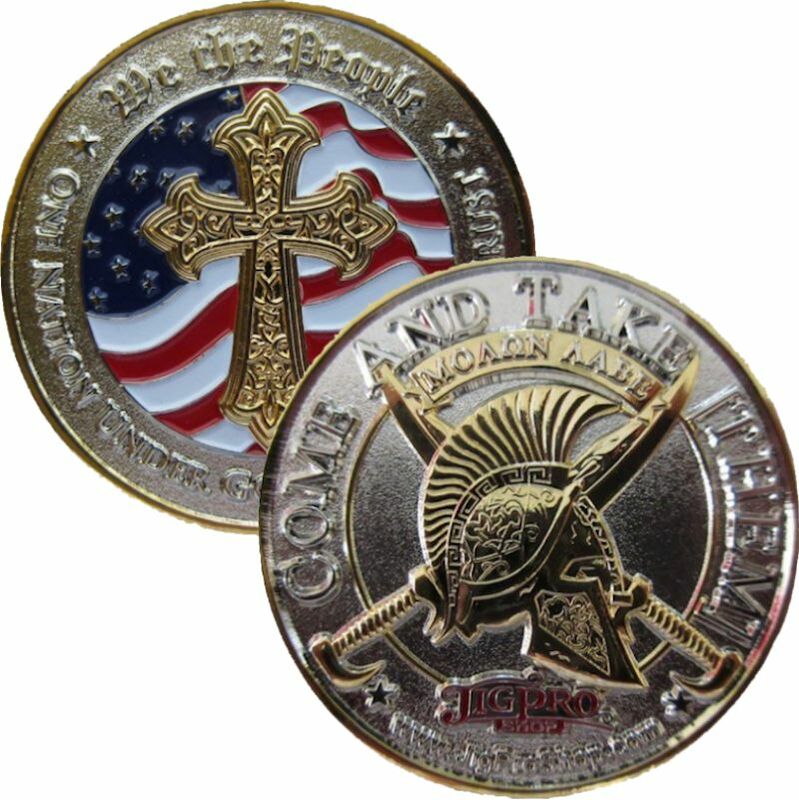 These large, heavy coins are incredibly detailed and made from solid brass blanks that are machined 3 dimensionally on both sides, plated in nickel and gold and then the color is added to each coin by hand. 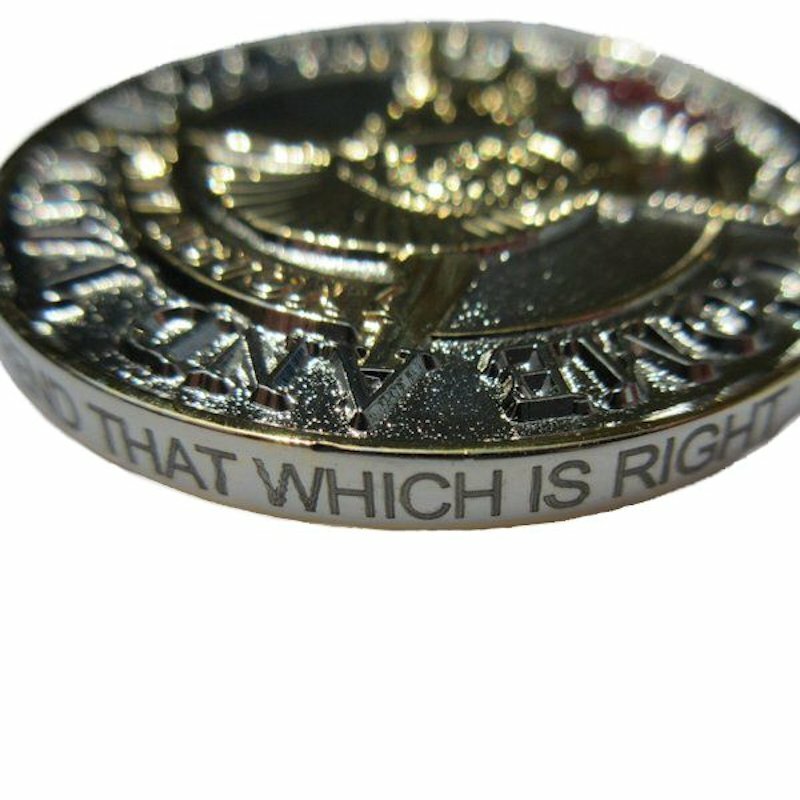 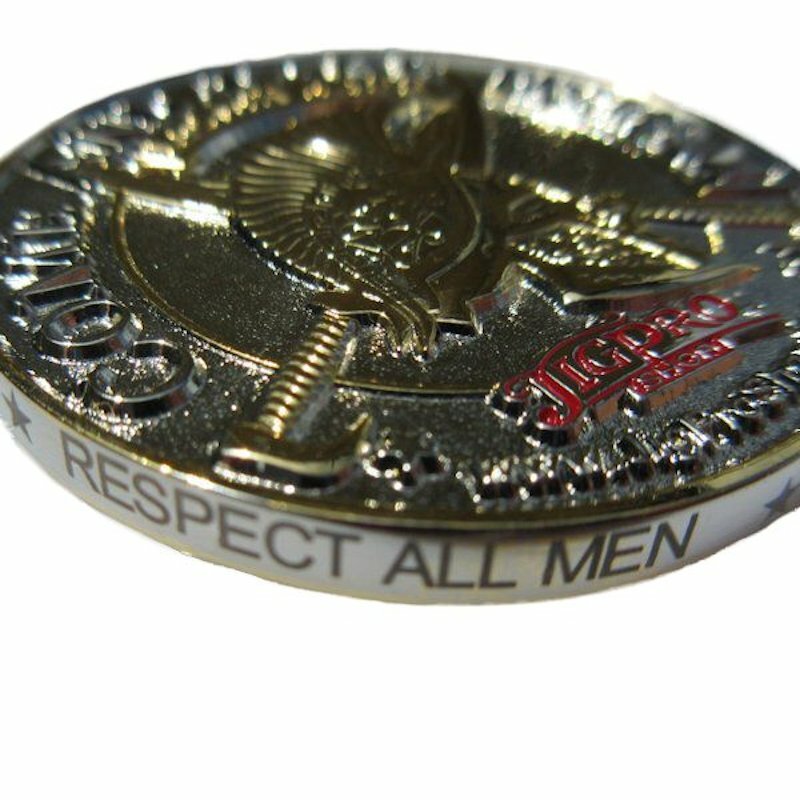 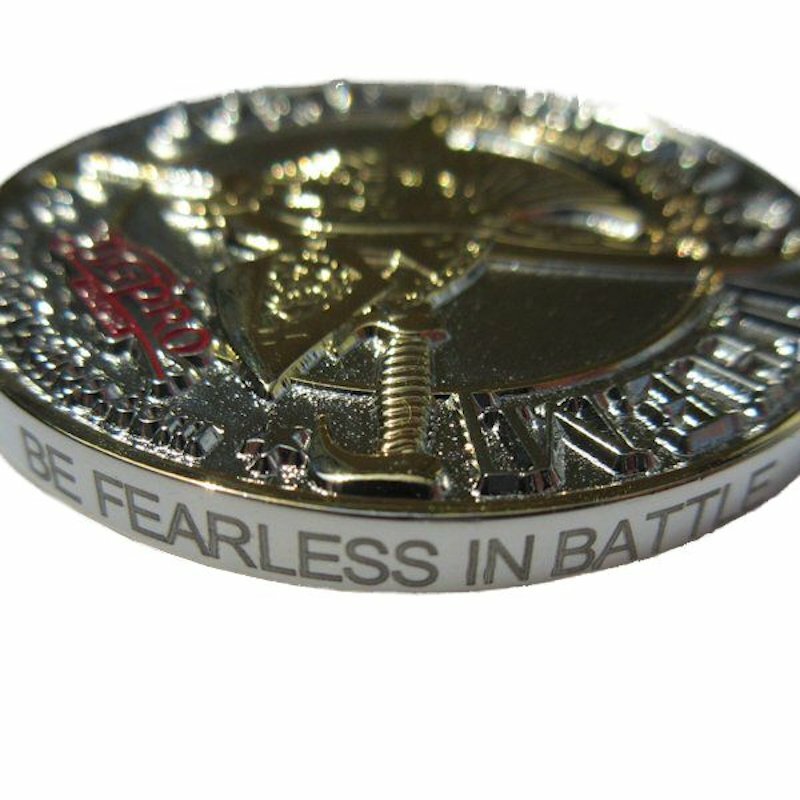 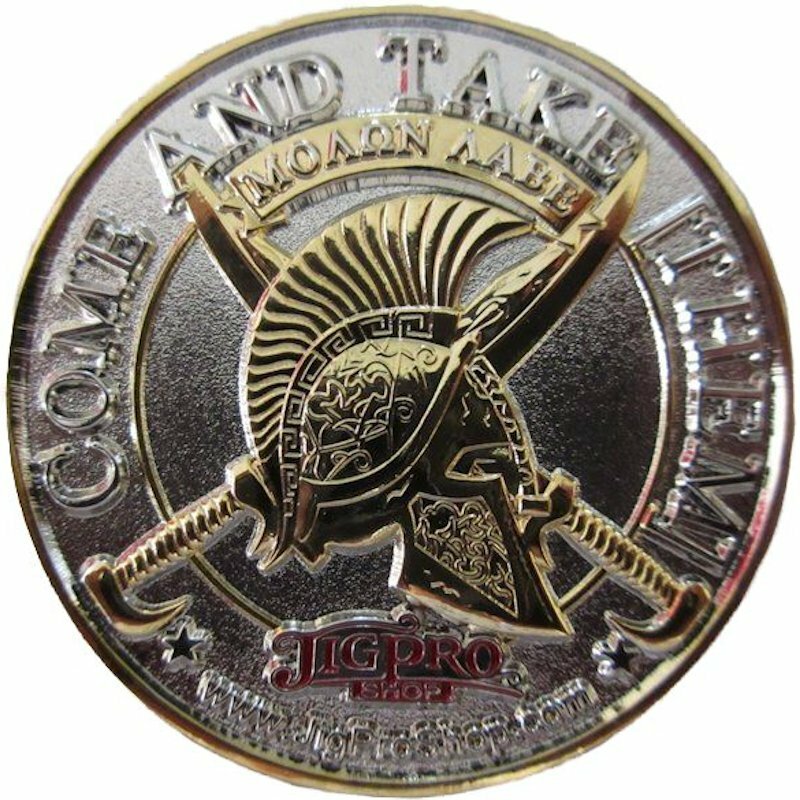 The edge of the coin is also laser engraved with the phrases: "Respect All Men", "Be Fearless In Battle", "Stand Ready to Defend That Which Is Right"
This is a true heirloom quality piece that will make for a great piece to carry or presentation gift.